It is our aim to offer you our many years of development experience as a service - from the conception through to the finished solution - for hardware and software projects. We offer our MT-COM as a universal platform for your control tasks. With our team we are your competent partner for your hardware and software projects. 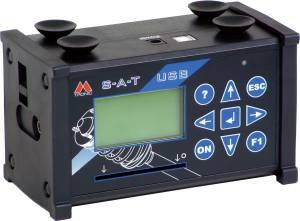 The S-A-T USB has been designed to test shock absorbers without having to dismantle them, while not expending too much time and money.